EOS, a provider of 3D-metal-printing technology with U.S. offices in Novi, MI, has entered into a strategic cooperation agreement with Switzerland-based GF Machining Solutions to focus on the mold and die sector. The two companies will develop technology for mold makers, a market in which GF is familiar via its EDM, high-speed-milling and automation technologies. 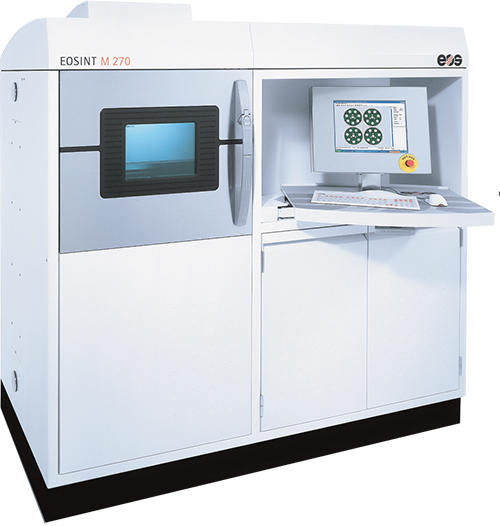 The additive-manufacturing technology expected through this partnership offers customers the possibility to generate metal inserts featuring cooling close to the surface, thus allowing for a shorter mold-cooling sequence and, therefore, a much faster plastic-injection cycle, according to officials from both companies. GF and EOS will undertake the integration of the additive-manufacturing machines into the production process of mold inserts, including the necessary software and automation link with downstream machine-tools and measuring devices.